Most of us have gotten fond of our electronics. So having electricity is a necessity. With all of the recent natural disasters we have seen recently; floods, fires, hurricanes, etc. there is validity in the desire to be prepared. Due to all of this, the special interest group known as Preppers is growing strong. Or maybe you aren’t a Prepper, but need a way to charge the deep cycle battery in your RV or travel trailer. Either way, the Firman W01781 1700 Watt Inverter Generator could be perfect for you or a loved one. I really like the versatile design of the Firman W01781. Generators have been around for a very long time. And they have gotten smaller and smaller. Not only is the Firman W01781 in a fairly compact footprint, it is designed with our electronic devices in mind. The built-in inverter allows you to directly plug your USB charging cable directly into the generator. The low noise makes it compatible with your electronics, so you don’t hear any noise when you listen to your music while it is plugged in. The FirmanW01781 is also part of their Whisper series, so it is designed to run much quieter than a standard generator. The Firman W01781 came shipped in a great looking color printed box with photos and specs of the generator. Opening the box revealed a very well protected generator, held in place by custom molded Styrofoam. Pulling the generator out of the box, I was very impressed! Materials used in the construction was mostly metal, with some rubber and plastic. The outer shell was mostly plastic, but most of the internals are metal with some rubber and plastic. The quality of the materials used was excellent, as was the fit and finish. It looked like a premium flagship product. And I loved the attention to detail, such as the rubber bushings between the motor and frame, for a smooth operation. Looking inside, everything was fit and snug very well. The Firman must have a great quality control department, as everything was very well put together with a nice attention to detail. Also included were the owner’s manual, quick start guide, some tools, a 12 volt adapter and oil. I was equally impressed with the instructions. Owner’s manuals can sometimes be hard to follow and understood, almost as if a German is reading Japanese and has the job of translating to English. But reading the owners manual, it was very east to follow and understand. The Quick Start Guide was even easier to follow. And Firman made it even easier for you – just in case you ever lose the manual or quick start guide. The steps to operate the generator are also found on a high quality large plastic label attached to the top of the generator. I love it! Let’s face it, for some consumers, this will be their first generator, so it’s a very nice touch on Firman's part to make it easy for everyone to use regardless of your experience with generators. In no time at all, I had the oil filled, and ready to use. As stated in the manual, it does not ship with oil pre-filled. So make sure you fill it before 1st use. And also use at least 87 octane regular gas. With gas in the tank and choke out, it was time to pull the cord. When it started, but died after several seconds, I was impressed it almost started after just one pull. The 2nd pull had it. Also remember to break it is for a few hours for at or less than half load. I was equally impressed with how quiet it was. Generators can be very loud, and while it wasn’t exactly “quiet” it was much quieter than other generators I have heard. I measured it at 90db at 1 meter and 59db at around 11 meters. My expectations are now high on the Firman W01781, and it continued to impress. Whether it was run at ¼ load, ½ load or full load, the Firman W01781 ran well without any hiccups. It’s rated at 9 hours run time at 25% capacity on a full tank of gas. Based on our usage, I would say that is fairly accurate. The more load you put on the generator, the more gas it uses. But their rating did seem pretty close. It’s actual performance also did very well. I ran multiple devices on it, and it handled all requests without any issues, and ran smoothly doing it, whether it was 1/4, 1/2, or full load. And plugging in my smartphone into the USB port provided clean power and listening to music with my custom in-ear monitor headphones in, I was able to confirm the clean power being provided as there was no noticeable noise. I was very impressed with the Firman W01781. Generators aren’t for everyone. But for those who are in the market for a generator either for themselves or a loved one, the Firman W01781 is a very good one! It’s designed very well, and built very well with high quality parts to provide years of use. And it also performed very well. 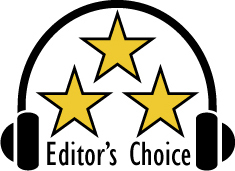 Based on it’s design, features, quality and performance, the Firman W01781 has earned our Editor’s Choice award. For more info and complete specs, check out their website at www.Firmanpowerequipment.com.